Did you know you can save thousands on a pre-owned copier? As much as 50% to 80%? You can get the latest options that are being offered on new copiers now. How you say? lease on. Or a repossession or even a business that went out of business. We have many sources to get equipment. That’s where you save on your copier. Keeping those hundred or even thousands in your pocket. Every single machine we get in pre-owned. Has been thoroughly inspected, and all parts that need to be replaced are replaced. Many brands to chose from. 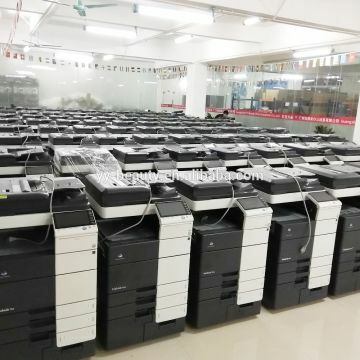 Konica minolta, Sharp, Toshiba, Ricoh, Savin, Kyocera & many more. So if your looking to save money on a copier for your office. Call us today. We have options for you. We even can rent you your next copier. With service included.